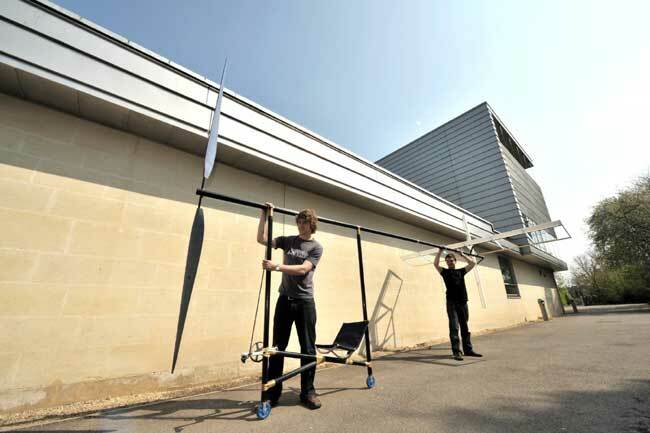 Bath University are building a human powered aeroplane. This will be the first one to be completed in the UK for nearly 20 years. The very light and incredibly slow aeroplanes pedalled across the English channel and Aegean sea back in the 1980 may be familiar to you! Still in the early stages of the project, the Team are not planning to fly much further than the length of the car park at the moment! 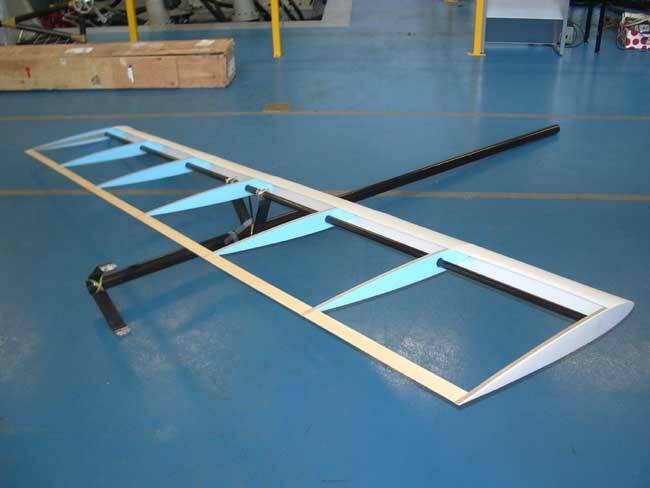 Bucks-Composites materials supplied some of lightweight, high strength materials that have been used in the initial build. Order was received in less than 24hrs from payment. Thanks for your prompt work. These materials will be used for repairing the old propeller and reinforcing the new propeller on the Bath University Human Powered Aircraft. We have had lots of problems with the propeller breakage during taxiing. 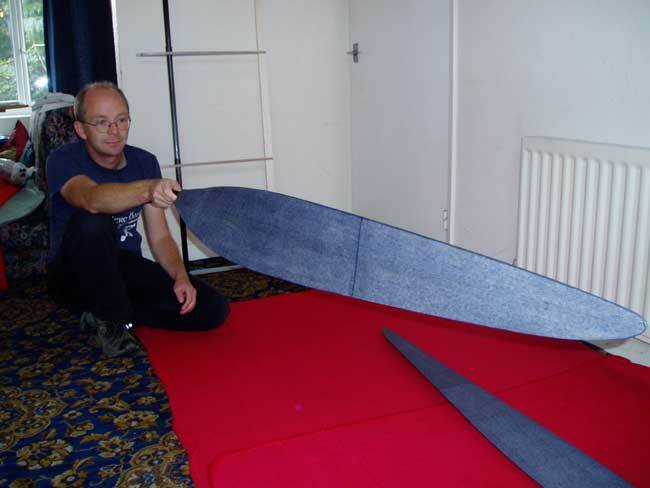 While the students finish off the wings and controls ready for a flight test, I have been making a second propeller which will have glass skinning and extra cloth to reinforce it round the root. 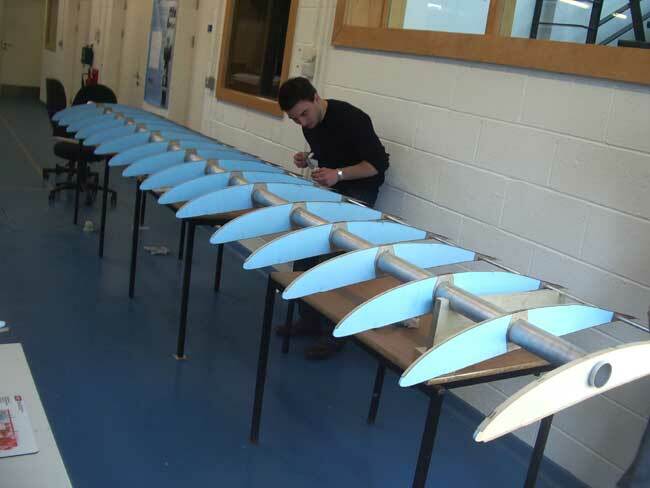 Traditional model glider wing construction from balsa skinned skeleton is used. Several pictures are attached showing blade construction these last few weeks. Probably use 49g cloth on the outer blade and 80g cloth plus carbon tow round the root.